Nothing can ruin a beautiful Providence morning faster than running a load in your dryer only to find a soggy pile of clothes an hour later. It only has one simple job to do, so if your dryer won’t dry your clothes, you need to figure out what the problem is fast. 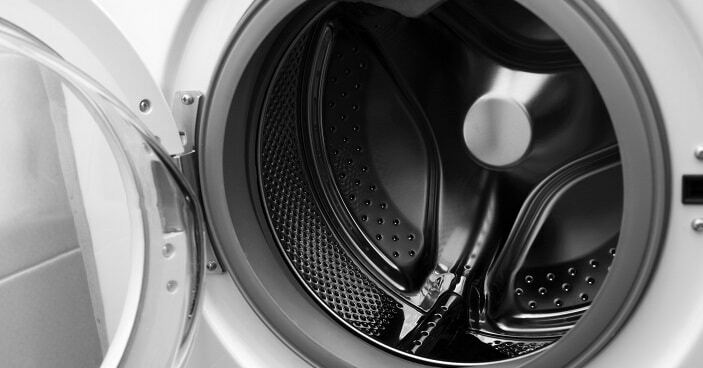 No one has more experience in dryer repair than Action Appliance Repair Providence, so check out our guide to diagnosing a dryer not drying issue. Electric dryers use an element to heat the air inside your dryer similar to the way a bake element heats and electric oven. They do tend to burn out over time though, especially if you don’t maintain your dryer properly. Inspect your heating element by opening the dryer cabinet, disconnecting the part from the unit, and test it for continuity with a multimeter. Replace the element as needed. Much like your home, the temperature inside your dryer is regulated by thermostats. Luckily, dryer thermostats are much simpler, cheaper, and easier to replace than your home’s. Overstuffing your dryer or failing to clean excess lint regularly can cause the thermostats to fail. Simply test each one for continuity with a multimeter to see if they need to be replaced. Unlike the heating elements used by electric models, gas dryers utilize an igniter to light the gas in the burner assembly. Their construction tends to make them quite fragile though, so check this part first to see if it’s failed. Again, you’ll need to remove the part from the unit and test it with a multimeter for continuity. 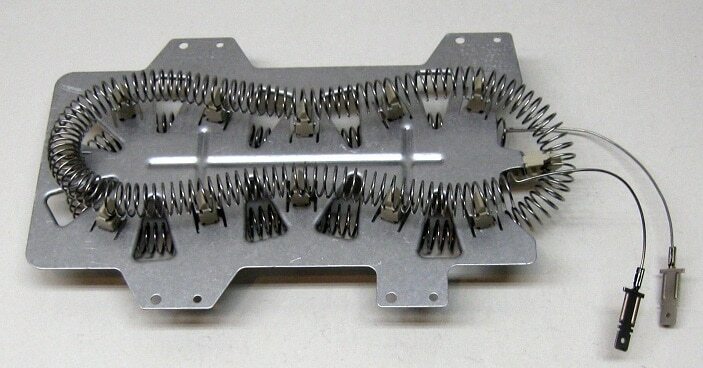 Be careful not to touch the actual igniter portion of the part when replacing it though as it can break easily. 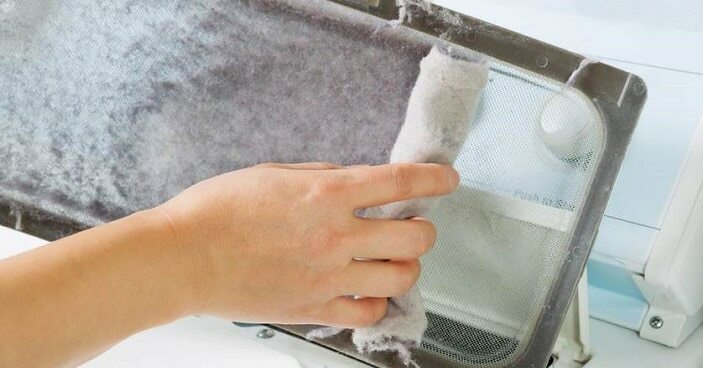 Most people clean their dryer’s lint trap occasionally, but it’s actually supposed to be cleaned after every use. The real problem comes from not cleaning it at all though. The most potentially dangerous reason that your dryer won’t dry is a clogged, bent, or pinched vent hose. Your dryer needs unrestricted air flow in order to heat and vent efficiently and safely. Inspect your dryer’s vent hose regularly and clean out and debris as necessary. Severe lint buildup can lead to a devastating dryer fire, so be vigilant in your dryer maintenance routine. Safety is always the best preventative measure, but some dryer repairs are too difficult for a novice to take on themselves. 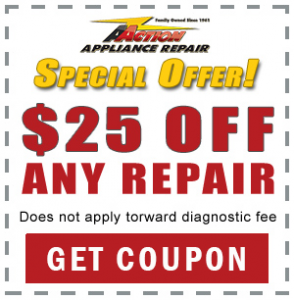 That’s why if you live anywhere in Connecticut, Rhode Island, or select cities in Massachusetts, your best choice is to call the professionals at Action Appliance Repair, the area’s most experienced dryer repair service.